The plants of this family almost exclusively tropical or sub-tropical in distribution. The family is represented by about 40 genera. Most members exhibit xeromorphic characteristics. 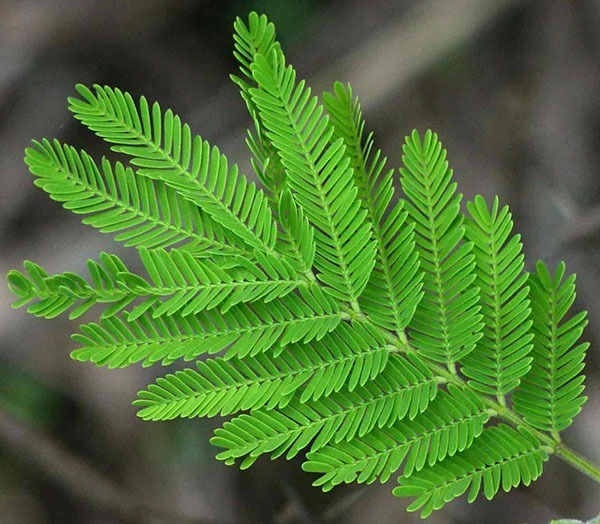 The most common genera are; Acacia nilotica (kikar), mimosa pudica (lajvanti), Prosopis, Albizia lebbeck (shirin), etc. Shrubs or tree, pinnate compound leaves, stipules are modified into thorns, inflorescence a spikate, head, flower hermaphrodite, actinomorphic, hypogynous, calyx 5 united, corolla 5 united, stamen numerous, ovary is with single carpal, fruit is a legume. 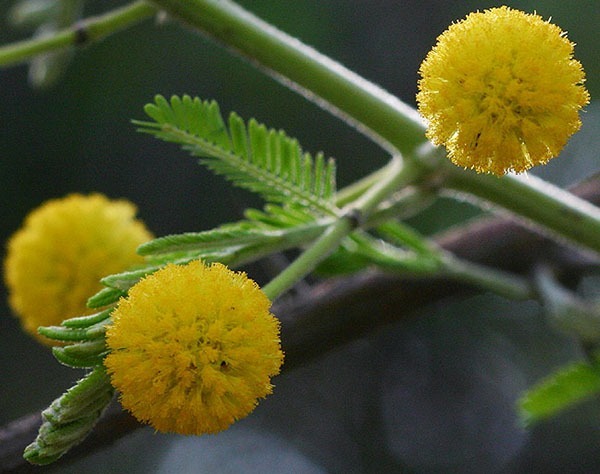 The representative species is Acacia nilotica (kikar or babul). A medium-sized evergreen spiny tree with dark-brown bark. The bark yields gum. Cauline and ramal, stipulate, stipules modified into spines, bipinnately compound, pulvinus present at the base of leaf, rachis possesses glands. Opposite, sub-sessile, oval, reticulate unicostate, glabrous. Minute, ebracteate, sessile, complete, actinomorphic, bisexual, hypogynous, yellow in color. 5 sepals, membranous, gamosepalous, campanulate, slightly petaloid, inferior. 5 petals, gamopetalous, tubular, petals yellow in color, inferior. Stamens indefinite, polyandrous, filament long, anthers minute, basfixed and yellow in color. Monocaepellary, ovary superior and unilocular, placentation marginal, style long, stigma minute and capitate. The family is of great economic importance and ranks second, the first being Gramineae. The seeds of several plants yield all the various pulses like mong, mash, arhar, beans, grams and peas etc, which are commonly used as food stuffs, being rich in proteins and starches. Many trees yield excellent timber e.g., Acacia, Dalbergia, Bauhinia, Gassia, tamarind and Prosopis. Some plants like Arrachis (ground-nut) yield oil and seeds which are edible. Ground-nut oil, when hydrogenated yields vegetable ghee. 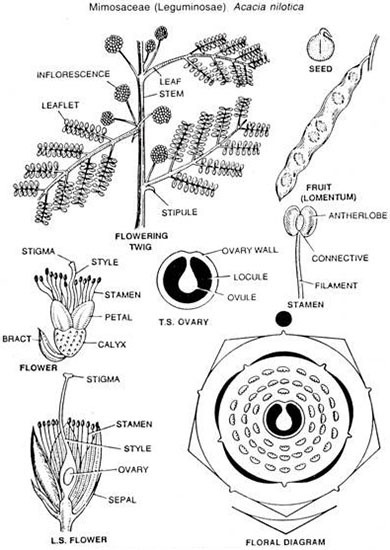 Several plants afford vegetables, e.g., Pisum (mattar), Vigna (Lobia), Glycine (soyabean), Trigonella (methe), Vicia (bakla), Dolichos (sem), Medicago (methi). Most of them are used as chief fodder crops, e.g., Melilotus (senji), medicage (mena), Vicia (bakla) etc. Some yield valuable dyes, Indigofera (neel), Haematoxylon (haematoxylin) and Acacia: the bark of the latter yields tannin used in leather tanning. Gum Arabica is obtained from the bark of Acacia Arabica and A. Senegal. 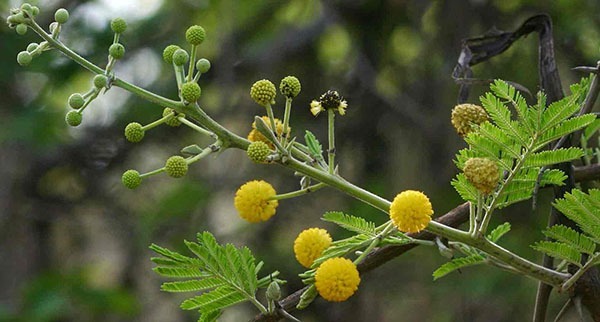 Katha is obtained from Acacia catechu. Grotolaria juncea-sunn-hemp and other species-yield fibers for rope making. Many are cultivated as ornamental plants, in the gardens and planted along the road side, e.g., Lathyrus odoratus (Sweet Pea), Parkinsonia, Gaesalpinia, Poinciana, Bauhinias and Cassias. Some species of Glitoria and lupines are also grown in the gardens for their flowers. The lac insect is often bred on Butea and Cajanus spp. Many of the leguminous herbs and shrubs are used as green manure (clover). The presence of nitrifying in their root-nodules contributes to the fertility of the soil and this accounts for their frequent use in the rotation of the crops. Some plants yield medicine, e.g., Cassia fistula (amaltas), the pulp of which acts as a purgative.